David Pool has lived in Champaign since 2000 and is proud of the community and all that is has to offer. He holds a Bachelor’s Degree from the University of St. Francis. David is passionate about helping anyone he can, and is excited to assist his clients through the home buying/selling process. David’s attention to detail, honesty, perseverance, and heart of a teacher will make your real estate experience one you will never forget. 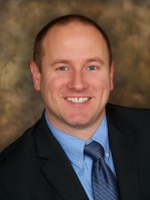 David’s familiarity with Champaign/Urbana will provide a valuable resource in your home buying/selling needs. David remains active volunteering within the community in various areas. David has helped out with the Special Olympics, Urbana Adult Education, and Carle Foundation’s Cancer Survivor’s Day program. He enjoys traveling, boating, and most all things outdoors. I want your home buying or selling experience to be an exciting period in your life. Having been through the process several times personally, I understand the emotion, finances, and tedious steps needed to complete the transaction. I will market your home by exhausting all of our resources to get the exposure your home deserves. Holdren & Associates, Inc. utilizes the most current and sought after internet sites available. If your needs include purchasing a home, I will work diligently to ensure no detail is left out, and to educate you about one of the biggest investments in your life. If you choose to work with a professional, you should get your money’s worth, and I can promise all my clients, nobody will work harder to meet their needs! I am very excited to be a part of one of the top producing teams in Real Estate in Champaign county and look forward to meeting you. Please email or call me anytime.